When the Doctors felt he was completely Stable and no Medical attention would be required, they asked Madhu about shifting me to Normal Ward. He had little Jaundice when they shifted him to Normal ward. So they kept him with Phototheraphy light for jaundice. As he was weighing less, I found it difficult to take feed consistently throughout the day. Hence they decided to shift me back to NICU. When they shifted him again to Normal Ward after few more days, he was better than the first attempt, but was crying of hunger to take feed but due to heavy crying noone was able to do anything other than Tube feeding and they shifted him back again to NICU. Now they are planning to shift him tomorrow to Ward again. I am for sure be 3rd time positively lucky. 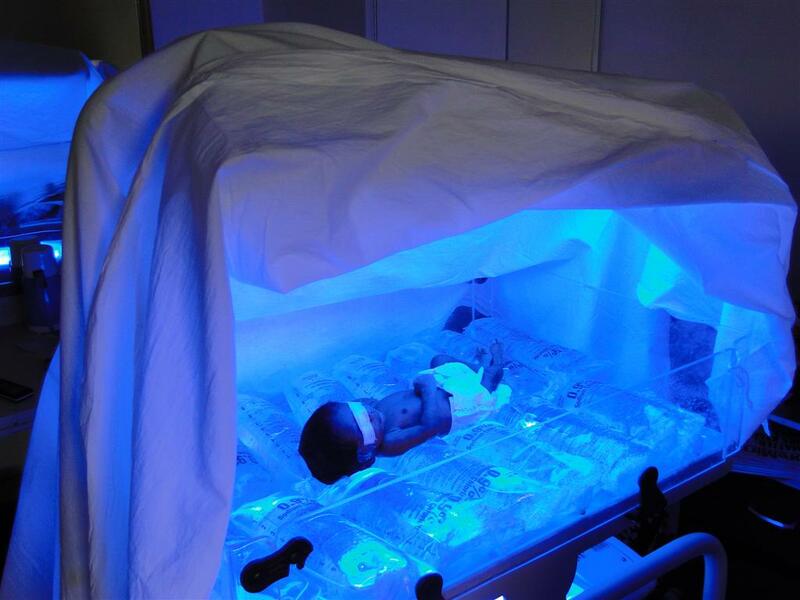 In Normal Ward under Phototheraphy lights for Jaundice. Eyes are covered so that light does not impact the eyes.